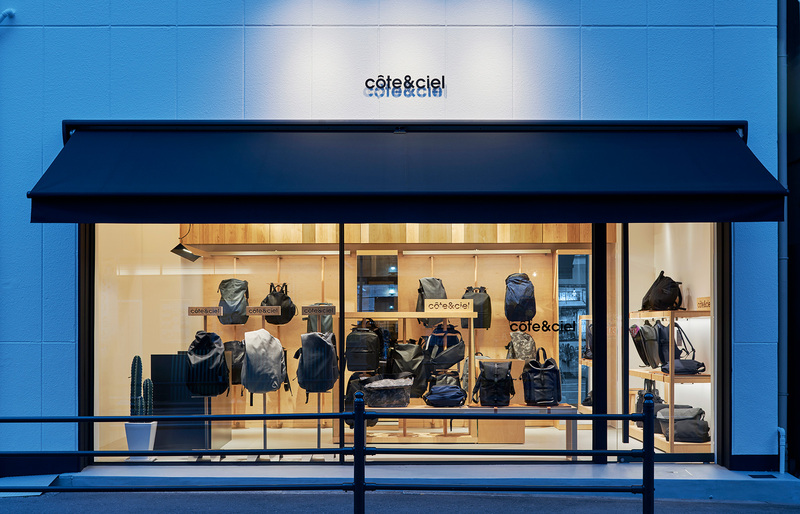 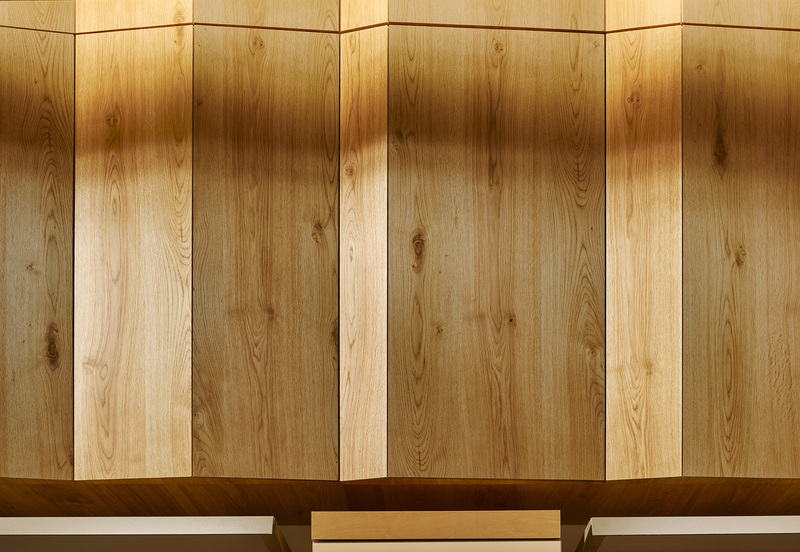 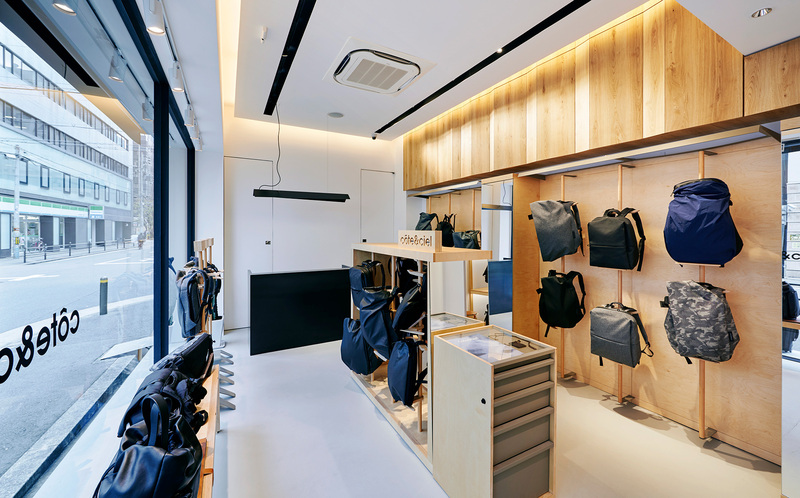 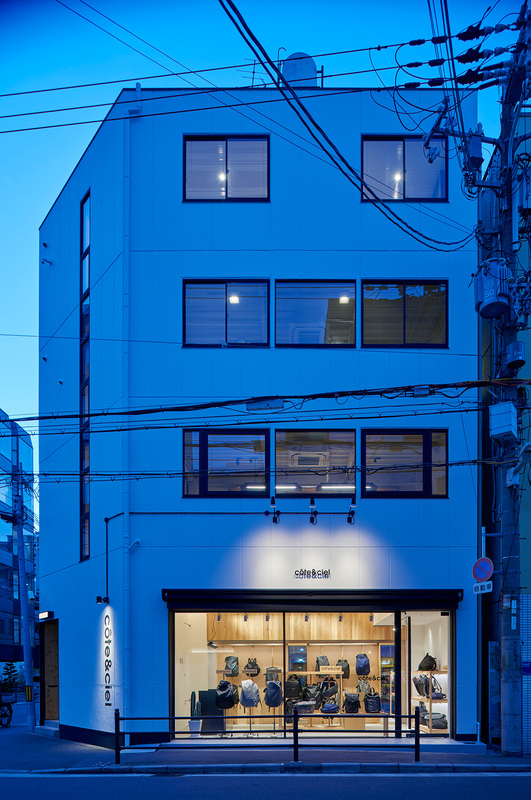 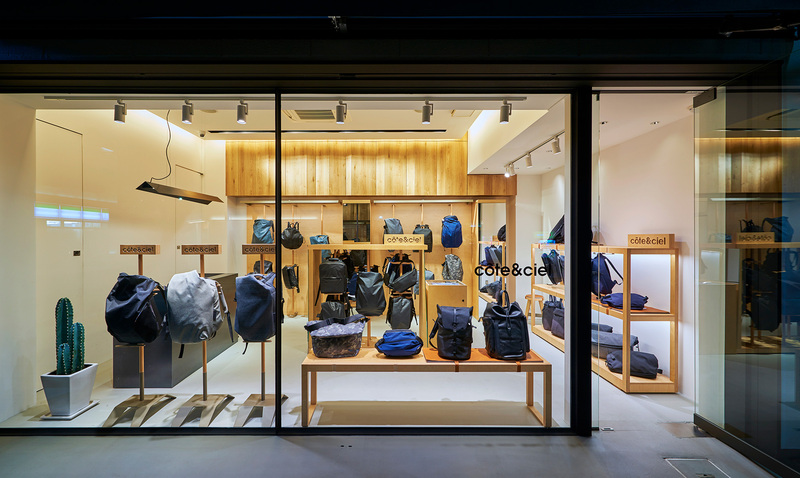 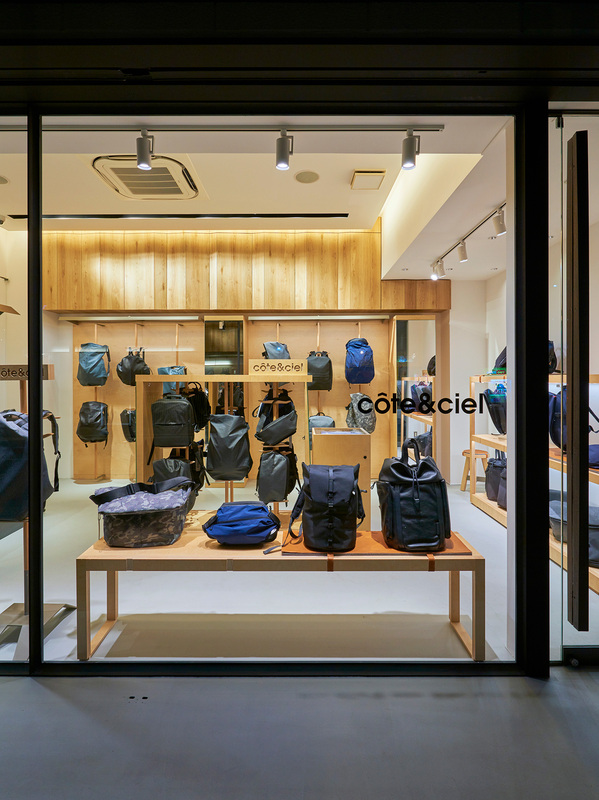 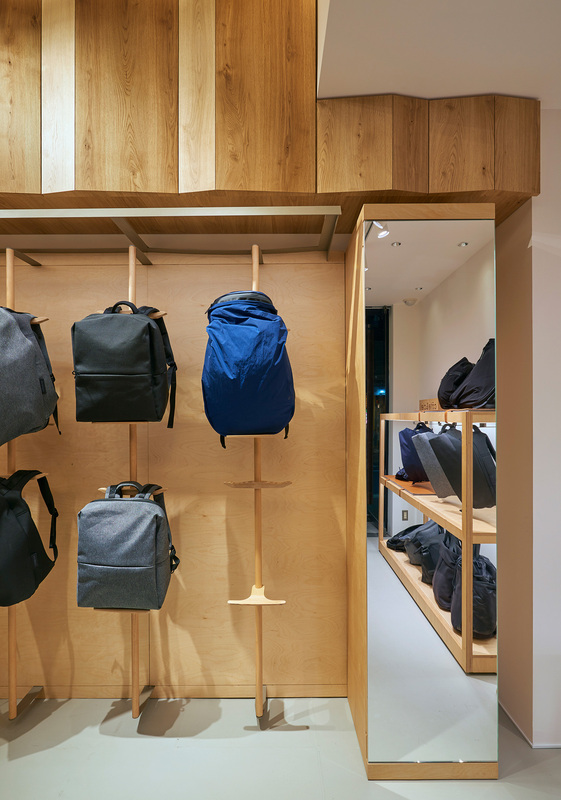 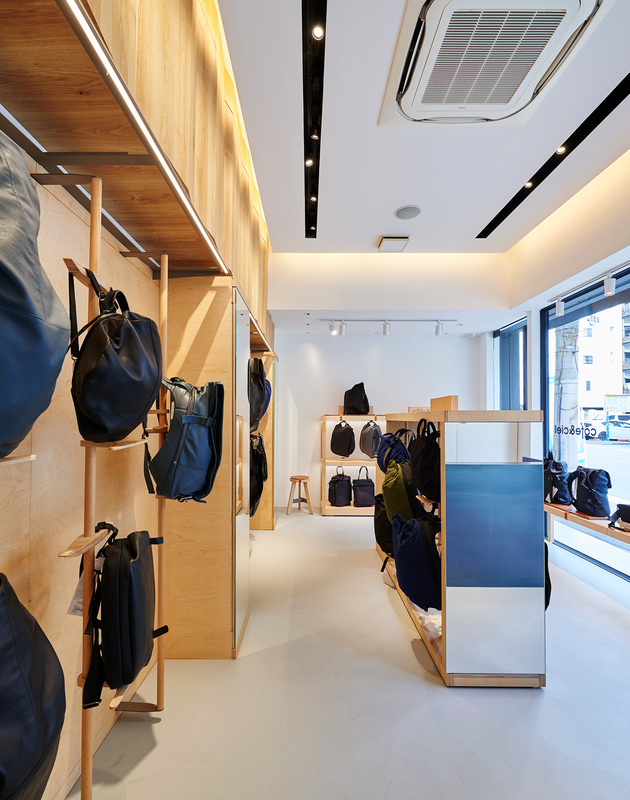 Shop design for the Osaka location of “cote & ciel”, a Paris-born bag brand, whose items are specialized for Apple’s products, such as an iconic unique-form backpack. 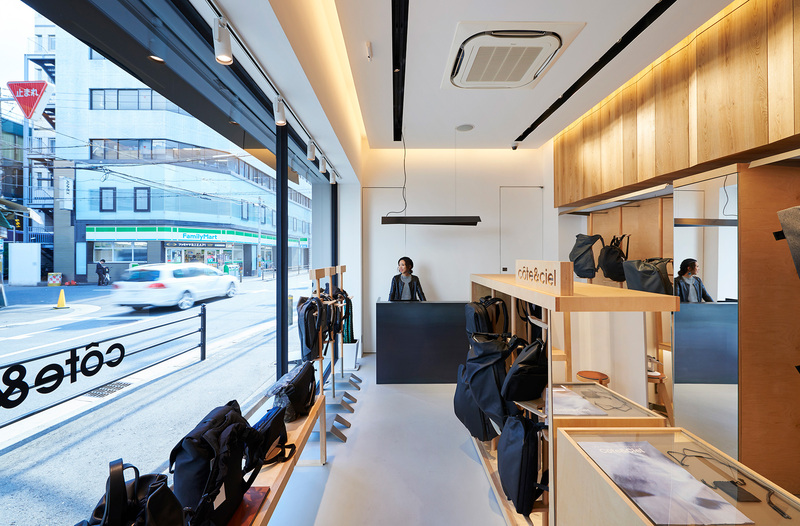 In order to bring out the details of those simple bags, we used only three colors for the interior – the simple colors of the bland’s concept (black & white), as well as a natural wood color – with carefully selected materials. 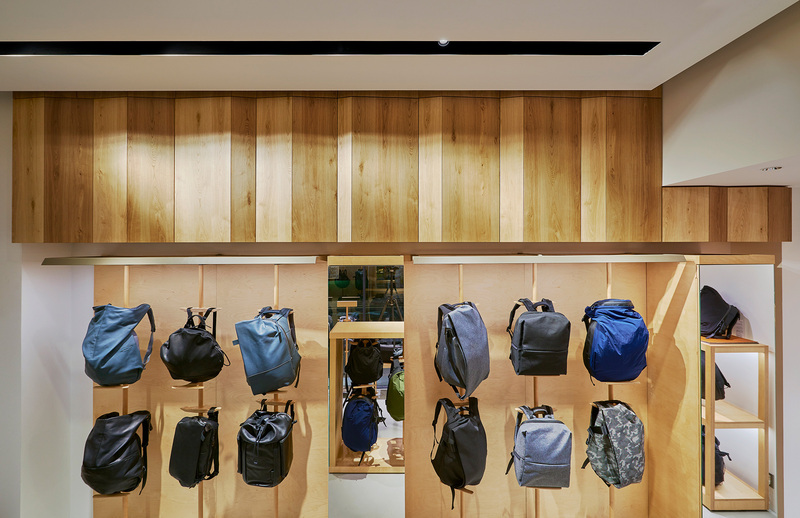 In addition to that, we extracted memorable details with motifs from their bag designs, and put them on lighting fixtures around bags and display racks. 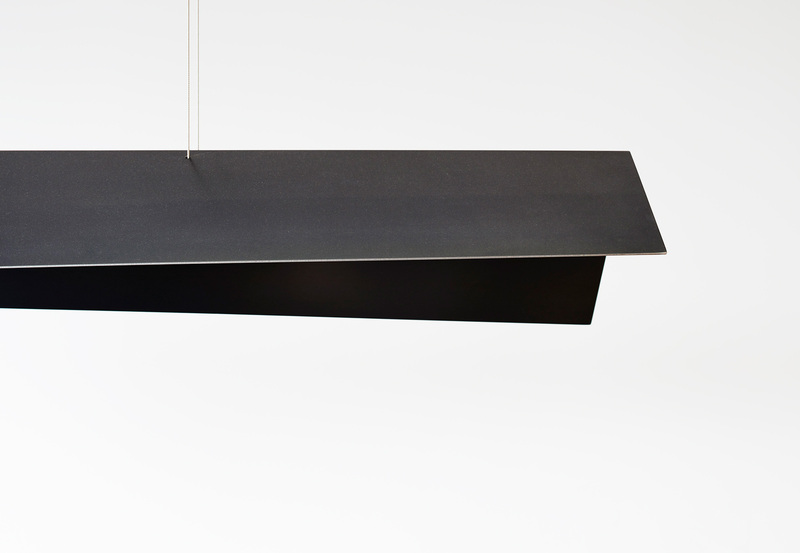 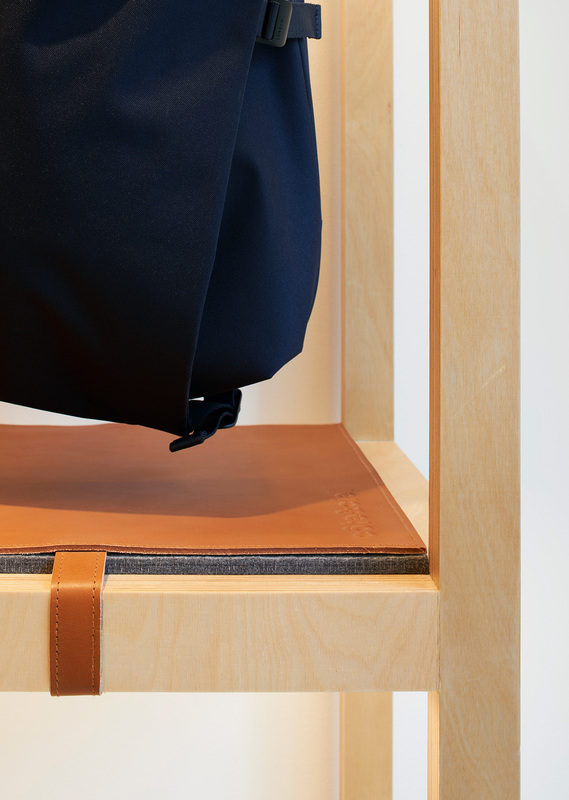 The link between the details on the fixtures and the bags has created a simple air that no other lshops have.